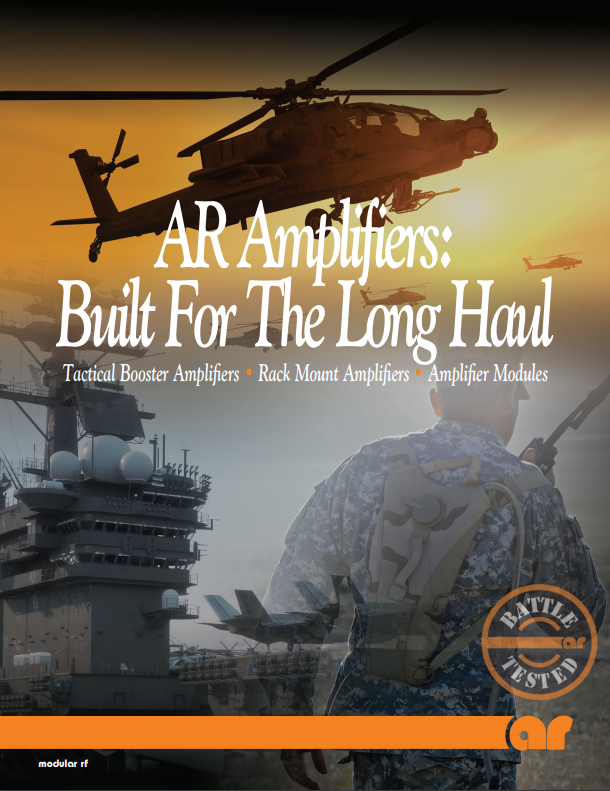 AR Modular RF is a world leader in broadband, sub-band, and discrete frequency non-EMC RF amplifier systems and modules. Their products have a wide variety of uses in a number of diverse applications including military, government and civil communication systems, manufacturing processes and testing, as well as in high-tech medical equipment, remote data collections, and weather monitoring systems. Download the catalog for an overview of their products and technologies.